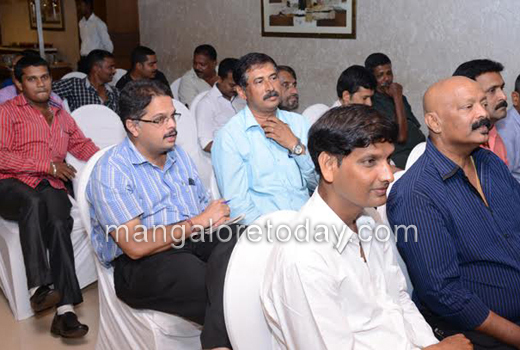 Mangaluru, July 08, 2015: A new Tulu film, ’Jugaari-Balipere Ijji’, produced under the banner of ’9 O’Clock Creations’ will have it’s ’muhurtham’ on July 9 at PVS Kalakunj. Ragini Dwivedi, actor, will sound the clapping board. U.T. Khader, Minister for Health and Family Welfare, will attend. Full time shooting will start in August with a 25-day schedule, according to producer R. Dhanraj. Directed by Anand P. Raju and starring actor Karthik Banjan and multi-language actor Esther Noronha, the film will deal with the perils of gambling in its myriad forms, Dhanraj told media here on July 7. Anand Raju is coming back to direct a Tulu film after eight years, having last directed the award-winning film Koti Chennayya. He said that shooting will be in Mangaluru, Bengaluru and Mumbai, with a few duet songs likely to be shot at Doodhsagar waterfalls. Leading cameraman Suresh Babu and music composer Guru Kiran will enhance the value of the venture. Mangloreans must watch the movie and support Tulu films.